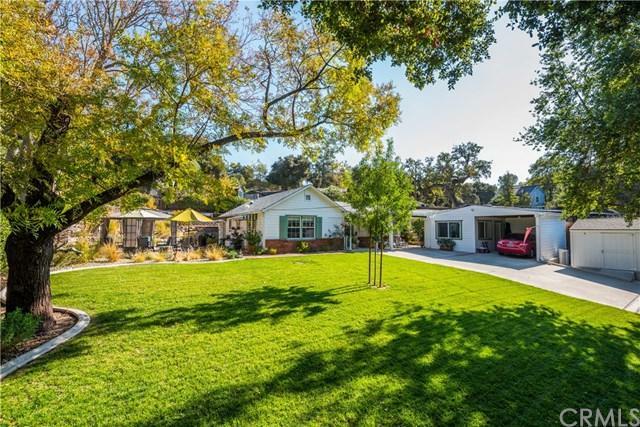 Quiet cottage retreat, nestled among the trees on 1/3 acre in East Atascadero. The compound begins with a private entry fully-fenced with automatic gate. 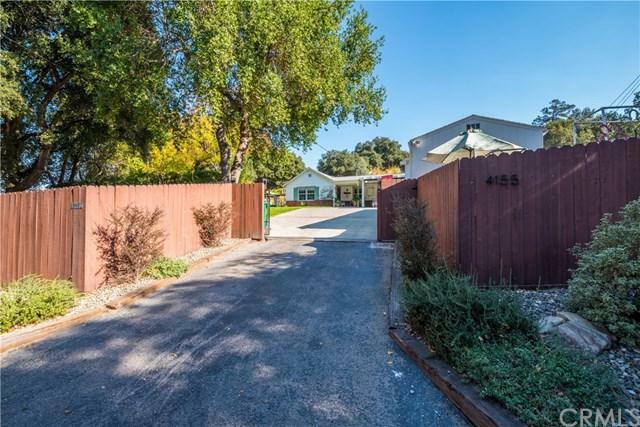 large, usable front yard with level lawn, private patio, versatile bocci ball court and a carport with a multi-use room for office, art studio or storage. The side of the home reveals a gorgeous patio with pergola and stocked koi pond highlighted by the lovely sounds of a fountain. 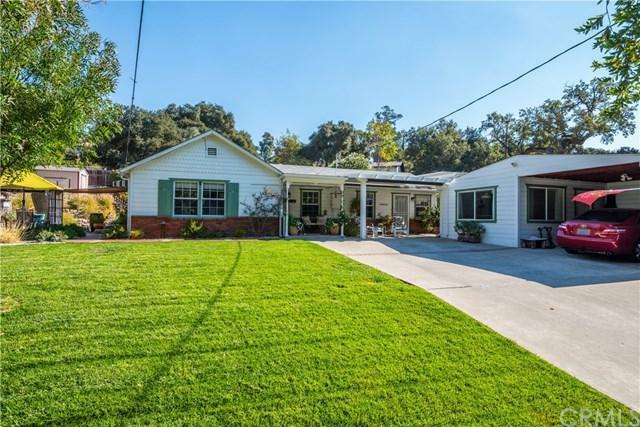 Terraced property has a large upper level ready for any use plus a newer Quiet cottage retreat, nestled among the trees on 1/3 acre in East Atascadero. The compound begins with a private entry fully-fenced with automatic gate. 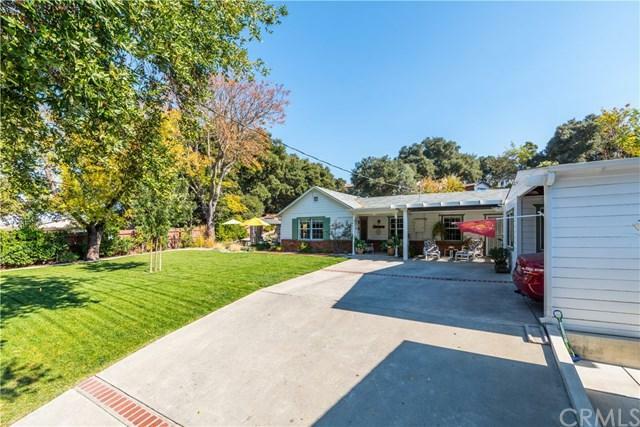 large, usable front yard with level lawn, private patio, versatile bocci ball court and a carport with a multi-use room for office, art studio or storage. The side of the home reveals a gorgeous patio with pergola and stocked koi pond highlighted by the lovely sounds of a fountain. Terraced property has a large upper level ready for any use plus a newer shed. Single level home boasts a covered front porch sitting area. Great room includes new French doors opening to the side patio, a solar tube for added light, plus new wood floors with travertine insert and electric fireplace. Move in to the kitchen space and there is a classic, working vintage stove, plus new quartz counter tops and travertine backsplash highlighted by a modern farm sink. All doors inside have been replaced with new glass doors. Additional upgrades include all new window coverings, new fans and two Mitsubishi mini-split air conditioning and heating units which allowed for opening the space between kitchen and great room. Formal dining room off kitchen leads to guest bedroom wing -- one room converted to an office and used for indoor kitty access to the "Catio" which can also be used as a dog run, gardening area or storage. Property has new patio coverings, hot tub hookups in 2 locations, new landscape lighting and brick patio. Simply too much to list!